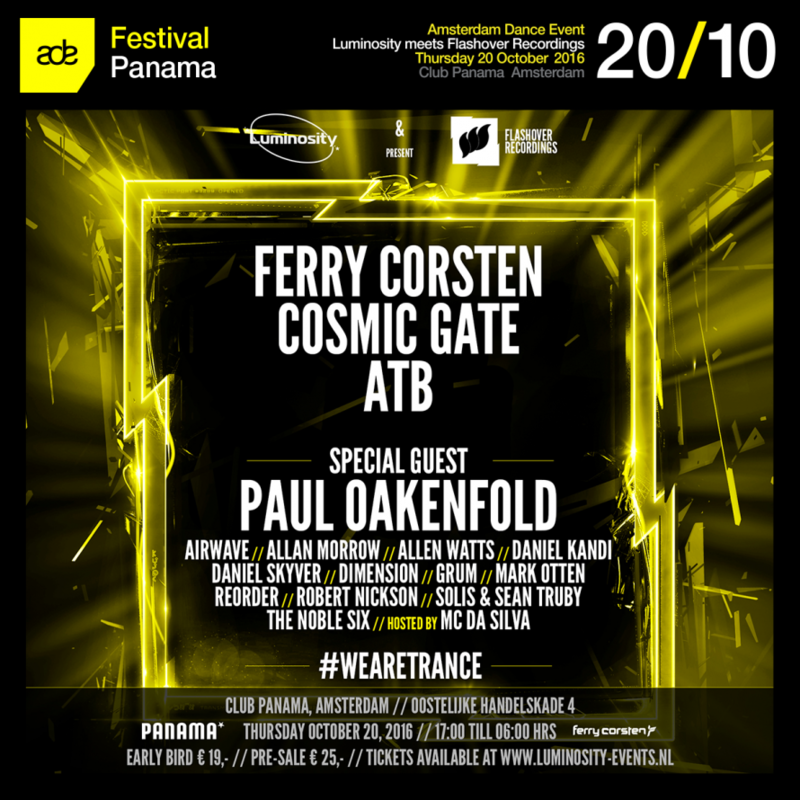 On Thursday the 20th of October Luminosity & Flashover Recordings will team-up for the first time for an ADE special at Club Panama Amsterdam! 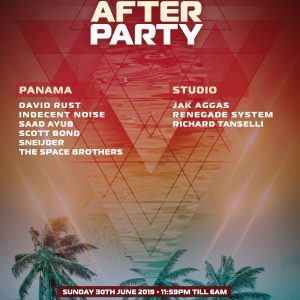 This Amsterdam Dance Event Special will include a blend of the finest national and international Trance & Progressive artists. On the 20th October, Flashover Recordings chief Ferry Corsten will take to the decks at one of Amsterdam’s most iconic venues and one of his personal favorites, showcasing state of the art production and never before seen elements, not to mention an all-star line up of talent. Joining Ferry on stage are Cosmic Gate, Paul Oakenfold, ATB, Dimension, Solis & Sean Truby, Airwave, ReOrder and many many more! 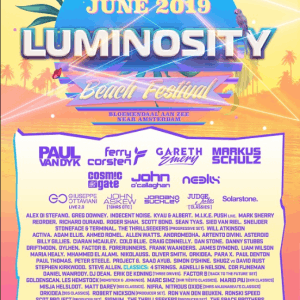 Each of these heavy hitters will be bringing their own energy to the club and some very special guests are stopping by to fire up the party, the Luminosity & Flashover ADE Party is a must-attend event. Having hit all major clubs and festivals worldwide, Ferry Corsten and his guests comes equipped to take over Amsterdam again during this legendary event! The last time the Luminosity crew hit ADE, the sold out club erupted into an all-out, crazy and special, rave affair.